阿蘇神社ボランティアガイド開催中！Join Aso Shrine Volunteering Tour! 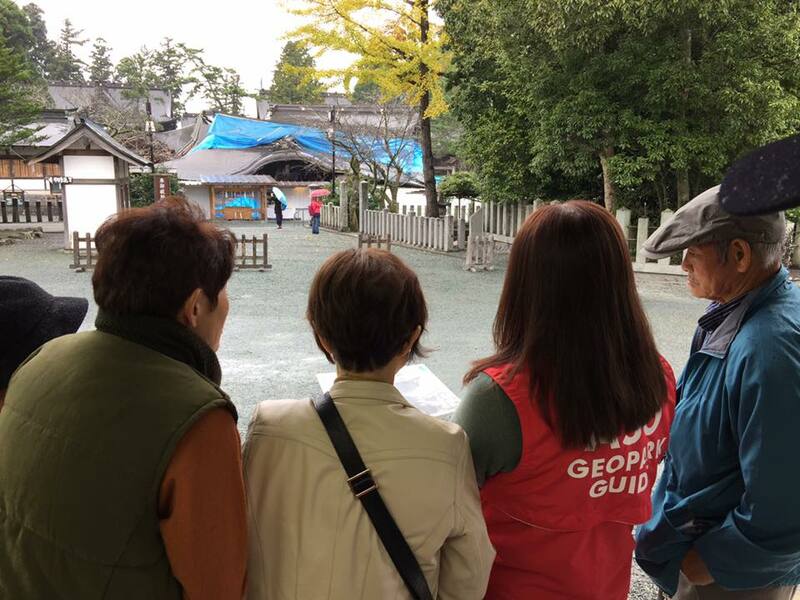 Aso Ichinomiya Information Volunteering Guides and Aso Geopark Guides welcome you to discover history and charms of Aso Shrine related to Aso Volcano! Although Aso Shrine was damaged hugely by the 2016 Kumamoto Earthquakes, we also want to tell you its rebuilding process to deliver story of the Earth's activity.